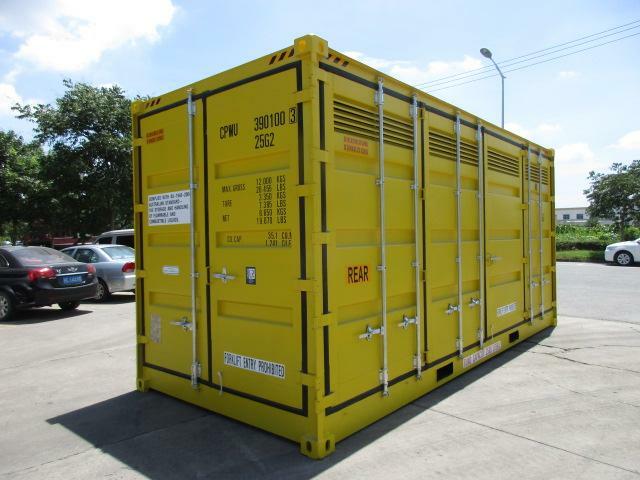 Our 20 ft dangerous goods high cube sea containers are essentially high cube containers with the all the security measures and checks required for safe transportation of potentially hazardous materials. These shipping containers feature stainless steel valves, for safe and secure disposal of waste, air vents, mesh flooring, and an additional 1.5 ft of height. All our Dangerous goods shipping containers are Australian owned, OHS compliant, and compatible with Australian and International standards.